 Battle Orcs and Demons in a massive multiplayer role-playing adventure. 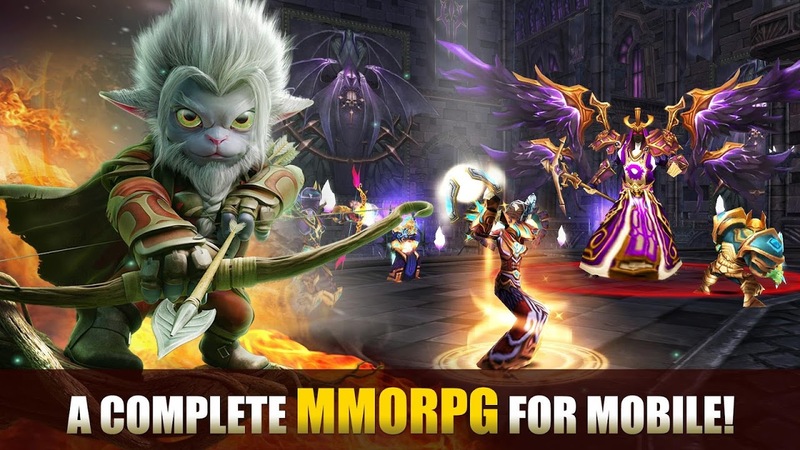 Join thousands of players and enjoy the best MMORPG experience on Android: Team up with your friends to take on quests and explore our vast fantasy world, achieve heroic feats and lead your guild to the top of the multiplayer leaderboard. 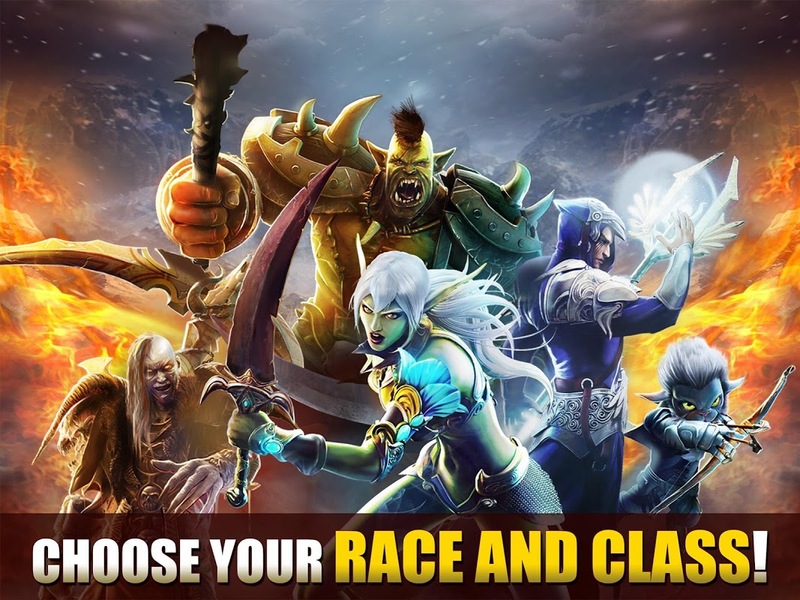 THE MOST COMPLETE MMO EXPERIENCE AVAILABLE IN A MOBILE GAME • Use the advanced character creation system to customize your heroic avatar, in true MMORPG fashion. • 5 races available: Elves and Humans fight for Order, Orcs and Undead for Chaos, and the Mendels are neutral. You can have no less than 5 different characters in our game! • Choose your gender, appearance, class and talents. With over 15,000 skills and 8,000 pieces of equipment to assist you through your quest, your game will not be over soon. INTERACT WITH THE COMMUNITY • Explore the world of Haradon solo, or unleash the true multiplayer game experience: Make friends or enemies, trade, duel, communicate and more. A wide range of interactions makes each player a living part of this fantasy universe. 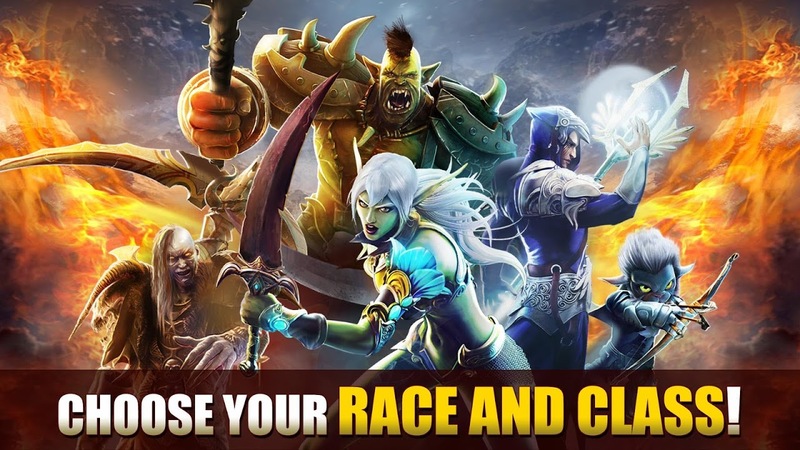 • Join a party or guild to become stronger and coordinate with your teammates to overcome the most challenging part of MMO games: our Legendary dungeons. 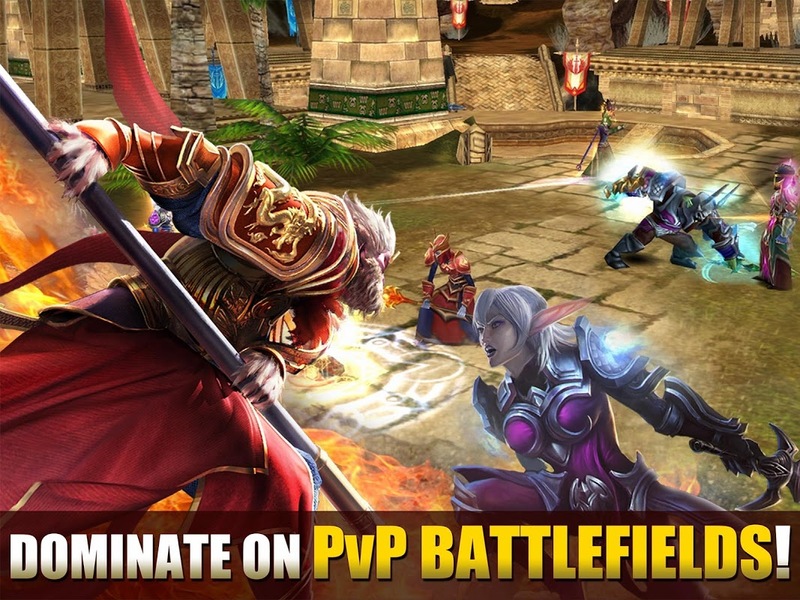 • Take part in epic multiplayer fights and try to lead your guild to the very top of Haradon. THE WORLD IS YOURS • Travel through the most majestic settings of this deep fantasy world -- from dark forests to deserts, jungles, mountains and more -- on foot or by magical means. • Talk and interact with hundreds of characters to find over 1,500 quests to perform. ENTER THE PvP ARENA! 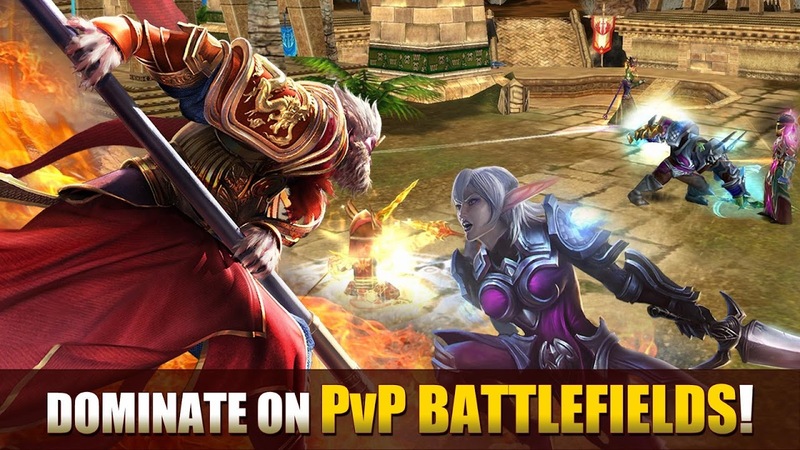 • The Battlefields are a new PvP mode where teamwork far outweighs individual strength. Try to capture the opposing team's flag and bring it back to your base to score. MOUNT UP • Ride into battle faster than ever on the brand-new mounts, including Bloody Ghost Horse, Silver Despair, Peaceful Kraken, and many more! 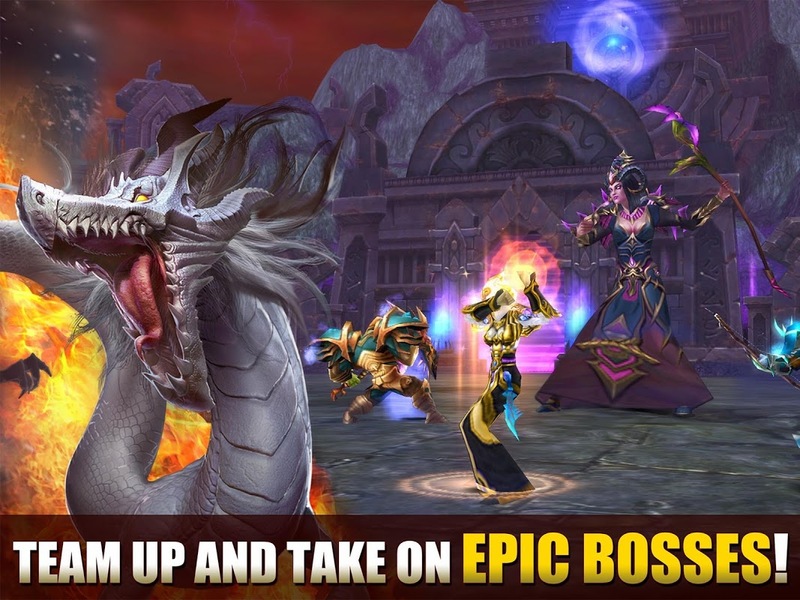 Join the best mobile MMORPG, and enter the legend now! 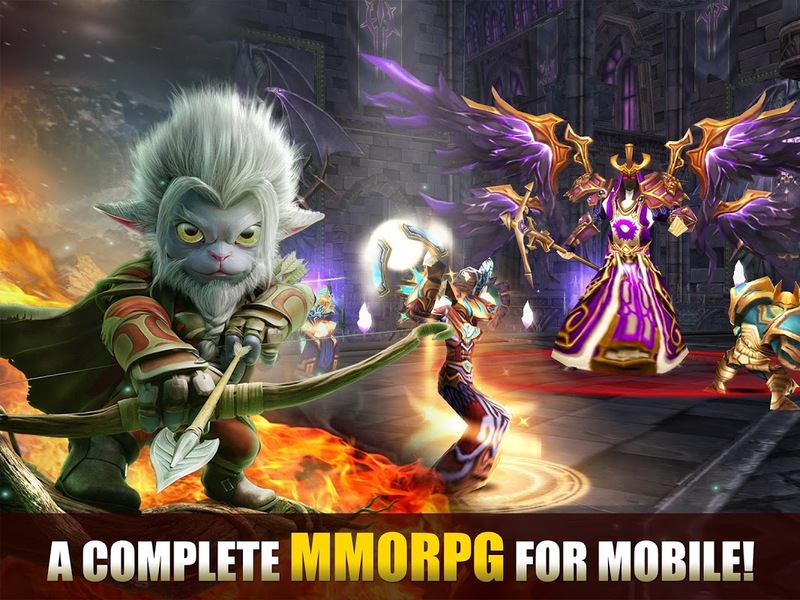 For fans of MMO games, Role-Playing games, Multiplayer games and Heroic Fantasy games. The minimum recommended configuration to play Order & Chaos Online is - 1 GHz CPU - 500 MB RAM - 1.7 GB of free space _____________________________________________ Visit our official site at http://www.gameloft.com Follow us on Twitter at http://glft.co/GameloftonTwitter or like us on Facebook at http://facebook.com/Gameloft to get more info about all our upcoming titles. Check out our videos and game trailers on http://www.youtube.com/Gameloft Discover our blog at http://glft.co/Gameloft_Official_Blog for the inside scoop on everything Gameloft.  Is Order & Chaos Online 3D MMORPG yours? Claim it!